Properties in Oxford average 4.8 out of 5 stars. 🏡"Whimsey Cottage" has an opening for “Double Decker Weekend “ 📌Book it Today ! Property 1: 🏡"Whimsey Cottage" has an opening for “Double Decker Weekend “ 📌Book it Today ! Private & Quaint Barn-Cottage only 6.9 miles from the Oxford Square! Property 2: Private & Quaint Barn-Cottage only 6.9 miles from the Oxford Square! "Stone's throw" from the campus on wooded lot. Property 3: "Stone's throw" from the campus on wooded lot. Walking distance to the square and campus! Property 4: Walking distance to the square and campus! Relax & Enjoy all that Oxford has to offer & stay at the “LandShark Lounge”. 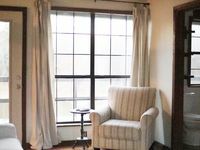 Property 7: Relax & Enjoy all that Oxford has to offer & stay at the “LandShark Lounge”. Charming Oxford Home just 3 miles from the Square! Property 8: Charming Oxford Home just 3 miles from the Square! Luxury Cottage 3 Miles from the Square! Property 11: Luxury Cottage 3 Miles from the Square! Discount with 5 or more nights. Comes with boat house, minutes from Oxford. Property 16: Discount with 5 or more nights. Comes with boat house, minutes from Oxford. Sardis lake minutes a way,Safe ,clean, comfortable Oxford 1/2 hour. Property 21: Sardis lake minutes a way,Safe ,clean, comfortable Oxford 1/2 hour. Oxford Retreat - 4B/4B Newly Renovated Cabin 15 Minutes From Downtown Oxford! Property 25: Oxford Retreat - 4B/4B Newly Renovated Cabin 15 Minutes From Downtown Oxford! Great spot for quiet vacation! We stayed in the cabin for two nights and had an amazing time! The cabin is rather small but very cozy, and more than enough for two people. The back porch overlooks a pond, and there is only a ten minutes walk to the lake. A downside might be that it is hard to get connection on your phone there, but if you are looking for a getaway from your daily business it can be an upside! There is no grocery store or cafes immediately available, so think of your rations beforehand if you don't want to drive to the closest town. Sheryl was very nice and responded to our questions almost immediately.